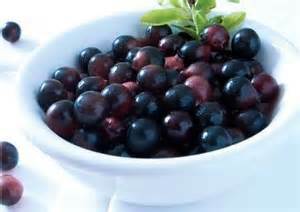 Acai berries look a lot like blueberries, which are also very beneficial for your health. the anti-aging actives of red wine and more fatty acids than avocado and olive oil. while tightening skin and smoothing fine lines. It also improves immunity and boost energy, so you will feel as young and radiant as you look. or add a scoop of freeze dried acai powder to smoothies, cocktails, baked goods and puddings.